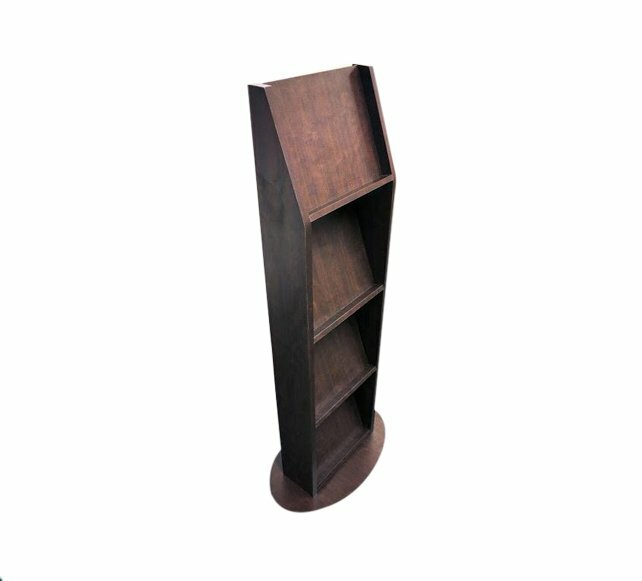 Free standing wooden magazine stand with 4 shelves, oval base and a veneer/laminate finish to all visible surfaces. Options: this item is made to order and can be made to your exact specification. Free standing wooden magazine stand with 4 shelves, oval base and a veneer/laminate finish to all visible surfaces. Options: this item is made to order and can be made to your exact specification. Dimensions (WxDxH): TBC.